Who says only kids get to go to camp?! 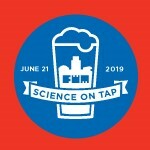 Trade out your bug spray for brews, and get ready for an adventure at Science on Tap: Grown-Up Summer Camp! Try your hand at classic camp competitions, dabble in arts & crafts and test your knowledge of the great outdoors.